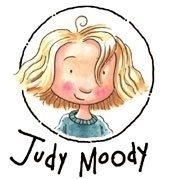 I used to be a huge fan of the “Judy Moody” books because I thought she was just the most interesting and quirky person, and I loved that little lock of hair that stuck up from her head. This entry was posted in All, Reframed and tagged bad idea factory, english, inspire, judy moody, kevin brookhouser. So maybe this blog got too serious too quickly, but chances are, if you’re reading this blog, you’re probably old enough and getting the pressures of college and life choices. Chances also are, that you think it’s ridiculous for you to pick a one-way plan for the rest of life if you’re not even allowed to get a tattoo (I mean, seriously, who designed this system?!). This entry was posted in All, Personal, Reframed.